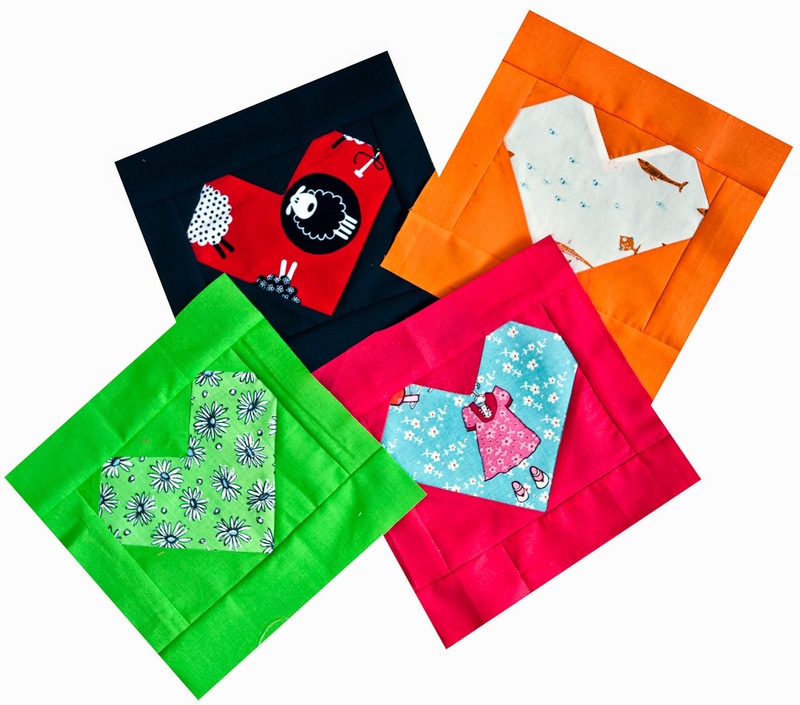 Over the last few months I saw several heart quilts popping up in quiltland. There was this quilt and tutorial from Allison Harris. These were cute hearts with two seams that she later reduced in another heart tutorial to two seams. And there is also Faith' heart quilt on her blog. She uses basically Allison's tutorial on the block and both quilts really are the cutest. There was just one thing that bugged me with both; and that is the seams through the middle. So I created my own heart block that has no seams but a Y-seam (how is that for a bargain !...). This allows for some great fussy cutting and will make the quilt into something like an "I spy quilt". A quilt that appeals to small children and adults at the same time. How about that ? I will publish a pattern and tutorial soon. Just let me practise my Y-seams a little longer as not all of them are that pretty.